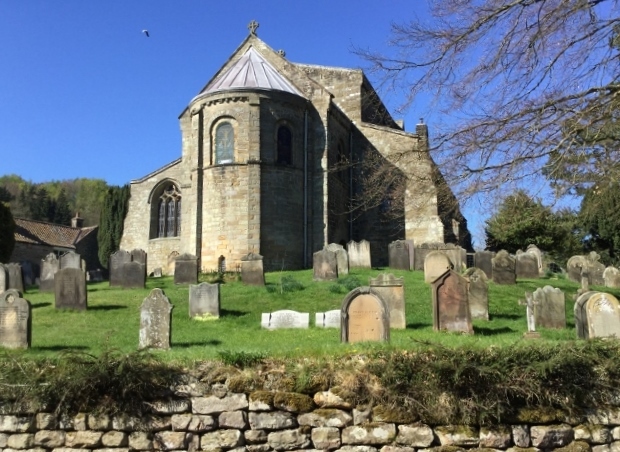 ST MARY'S CHURCH is set in the beautiful moorland village of Lastingham on the southern edge of the North York Moors National Park. We are part of a family of churches, the Lastingham Benefice, in which we seek to show God's love for all in real and practical ways, learn more about the Good News of the Gospel, and be inspired by what the Holy Spirit does in our lives and in our community. We offer a warm welcome to everyone of whatever tradition or none. Our church family is made up of all types of people, some who have been Christians for many years and others who are just starting out on the messy road of faith. And we believe that everyone is equally important to God, regardless of age and gender, and whether you regard yourself as a 'churchgoer' or not. Founded by early saints, Lastingham has been a place of prayer, peace, hospitality and Christian mission for well over 1000 years. This beautiful ancient church of St Mary is particularly famous for its unique crypt, which was built on the site of the AD 654 monastery, and is where St Cedd is believed to be buried. You can find out more about our history in Our History. The church is normally open during daylight hours and we are fortunate in welcoming many visitors. As you come to this beautiful part of North Yorkshire, we hope that you will share with us the joyous sense of peace and God's love that can be found in the heritage of centuries of Christianity within our church and its ancient crypt. We look forward to welcoming you to our church, and especially encourage you to visit the ancient crypt while you are with us. Come - Everything is Ready!